At an early age Judy Carter discovered that the messes in her life were great material. Judy’s message of using humor as a transformational tool led to her being featured in the Wall Street Journal, New York Times, and on The Oprah Winfrey Show, CNN, as well as being a frequent contributor to National Public Radio’s All Things Considered and a weekly blogger for Psychology Today. 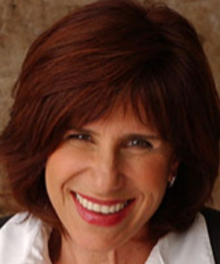 Currently, Judy is an international keynote speaker, speaking coach, and workshop leader on the power of personal stories and humor to inspire others and reduce workplace stress. Her “wake-them-up” keynotes have thrilled attendees at many Fortune 500 companies including Fedex, Oracle, Disney, Boeing, as well as hundreds of finance, healthcare and women’s events. As an author Judy doesn’t like to brag, but she did write the Bible. No joke, she’s the author of The Comedy Bible (Simon & Schuster) as well as, Standup Comedy: The Book (Dell Books). Judy’s book, The Message of You: Turn Your Life Story into a Money-Making Speaking Career (St. Martin’s Press), teaches readers how to become her competition. Her latest book is an interactive workbook entitled: The Message of You Journal: Finding Extraordinary Stories in an Ordinary Day.